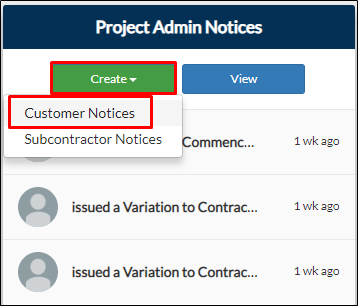 From your project page, go to Construction tab then click Create on the Project Admin Notices tile and select Customer Notice. From your navigation bar, go to Construction Phase > Project Admin Notices > Customer Notices. 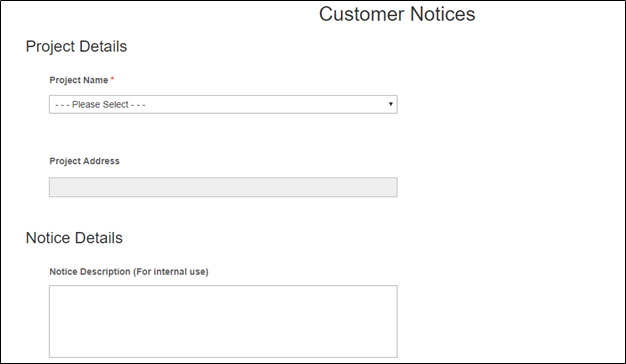 Or type in 'Customer Notices' on the search bar located on the upper right corner of your portal. 2. Fill out all necessary fields. Note: You need to select the project first if the form is accessed outside your project. 3. 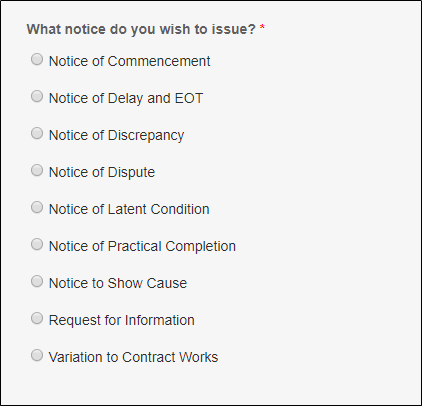 Select the type of notices you want to issue. This field is required to be filled out. Note: Once you have selected an option, succeeding fields displayed are related to your type of notice.